Bialetti Cold Brew Coffee Maker Glass Carafe & Stainless Steel Mesh Filter – Compact, Portable Cold Brew Iced Coffee Maker & Tea Infuser – Best For Coarse, Ground Coffee, 24oz. 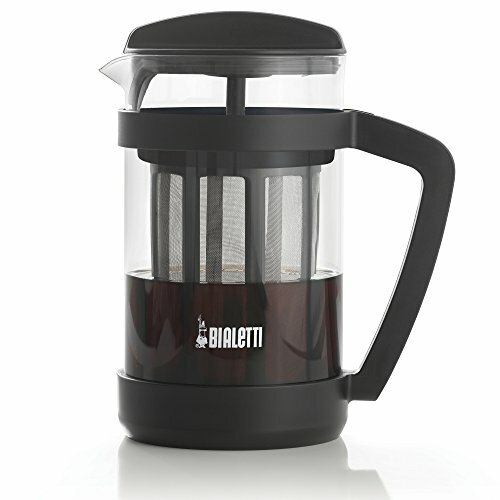 Bialetti Cold Brew Coffee Maker – Taste the Difference! Chances are that you’ve drank an acidic, bitter cup of coffee at least once in your life, and we’re willing to bet that it wasn’t the best tasting coffee you’ve ever had. 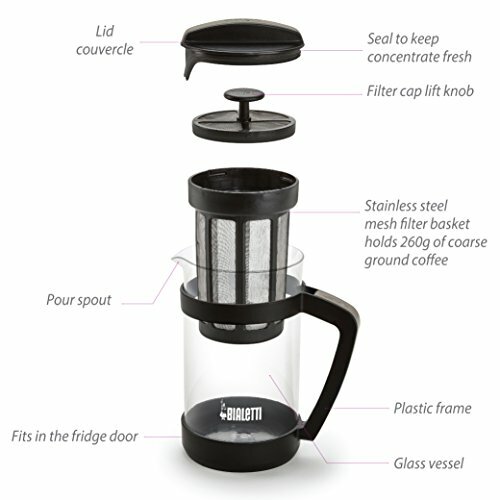 Not many people enjoy an acidic, bitter cup of coffee in the morning, which is why our Bialetti Cold Brew Coffee Maker evenly steeps your coffee for a smooth, well-balanced and flavorful taste that’s 65% less acidic than traditional, hot coffee. 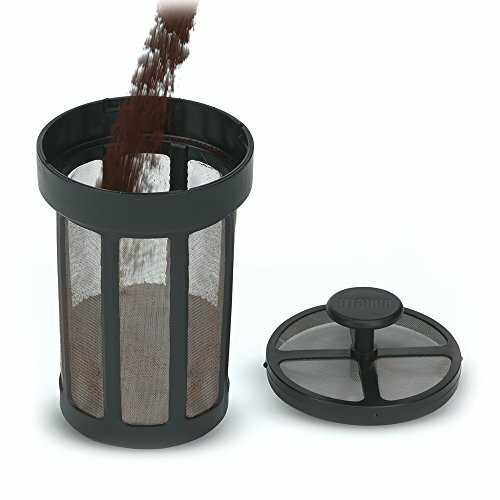 Our cold brew coffee maker and tea infuser allows you to add coarse, ground coffee or tealeaves to the stainless steel mesh filter, which extends the height of the glass carafe. The height of the filter makes all the difference as it allows for the coffee or tea to steep evenly throughout the water – resulting in a smooth, rich-tasting concentrate. 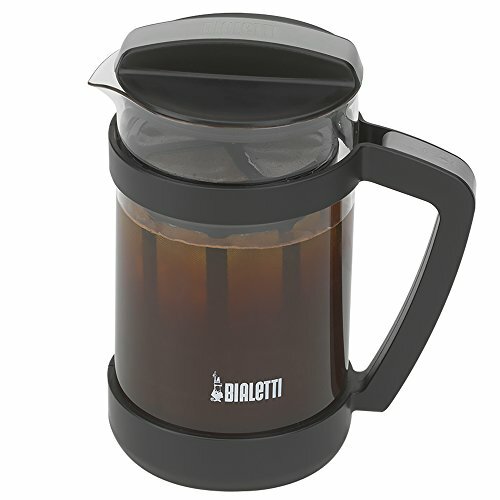 Why Try Our Bialetti Cold Brew Coffee Maker? The recommended coffee for cold brew is a medium roast, though you can use your favorite coarse, ground coffee or tealeaves. For the best results, cold brew or tea is typically steeped for 18-24 hours, which creates a strong, yet smooth-tasting concentrate that can be strengthened or diluted by adding more or less coffee grounds, tealeaves and/or water – so you always are in control of the strength and taste of your drink. 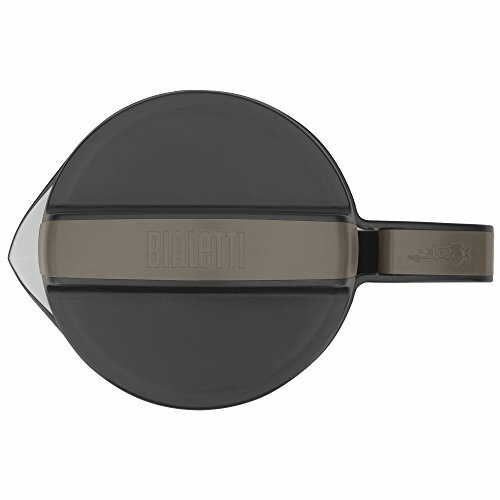 Order Your Bialetti Cold Brew Coffee Maker Today and Taste the Difference in Every Cup! Bialetti Cold Brew Coffee Maker Glass Carafe: bialetti coffee maker, oxo cold brew, bialetti cold brew maker review, bialetti cold brew.